← Quran Contradictions #5: Is slavery ok? Last night I watched the documentary Dark Girls, a fantastic narrative of how dark-skinned black women feel ostracized from within the black community for being too dark and pressure to unnaturally lighten their skin. It’s a wonderful piece — with absolutely nothing to do with religion or atheism — that I recommend everyone watch (personally, I don’t care if you’re as white as a ghost or as black as coal; I think all skin tones are beautiful). If you have Netflix stream away. It’s short, only 71 minutes. During the film there was an interview with a young woman, perhaps no older than sixteen. A dark-skinned girl who would surely grow to be a stunning example of black beauty, she had already embraced her skin tone and thought of it as a strength instead of a weakness. Kudos to her! But at the end of the interview she said something that struck me. I forget the exact words, but it was something like, thank god for giving me dark skin! I must take her to task for this statement because it dismisses two very, very obvious realities: genetics and social constructions. 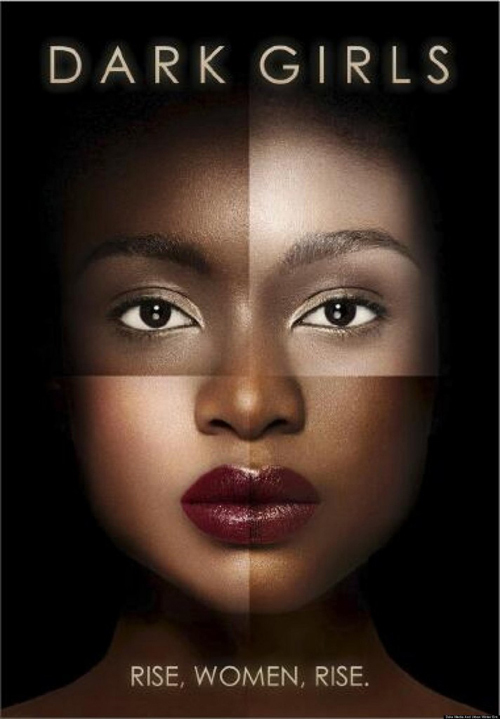 First, skin color is largely, although not solely, a product of genetics. Two dark-skinned parents are likely to produce a dark-skinned child. Mutations and recessive genes (i.e. still genetic) might account for the birth of a light-skinned child. Other factors might include the environment. Growing up in a sunny area might lead to darker pigments, for example. This has nothing to do with god, but instead to do with the colors of the skin of the parents. Unfortunately, some Christians might point to the “curse of Cain.” Two to three hundred years ago biblical scholars argued that the curse was dark skin. That is, blackness is a curse and therefore absolutely the product of god’s will. That’s a fairly racist statement that, again unfortunately, is still accepted by some fundamentalist Christians. Why would a young girl thank god for a curse? Second, our perceptions of skin color are not real. They are made up, invented, or, to use the correct term, socially constructed. There are no actual differences within the spectrum of skin tone. There are no actual differences between a dark-skinned black person and a light-skinned black person. We should take that further by saying there are no actual differences between a white person and a black person (or any of the other five inventions of race). Any differences are socially constructed, most likely, as argued in the documentary, to appeal to whiteness. If the girl in the documentary embraces her dark skin, then good for her! But I would not chalk her color up to divine will. It’s her parents’ genes that account for her blackness. And she should be thanking herself instead; she’s the one with the strength to ignore damaging social constructions and see her true beauty instead. This entry was posted in Atheism and tagged Atheism, atheist, Christianity, Christians, God, Religion, the bible. Bookmark the permalink. I do have Netflix so I’ll be sure to give this a watch. I wonder if it was just a turn of phrase or whether she was really thanking God.